It's Not Serious! : Everything has to go! I'm back from my holiday and ready to rock the end of the year! 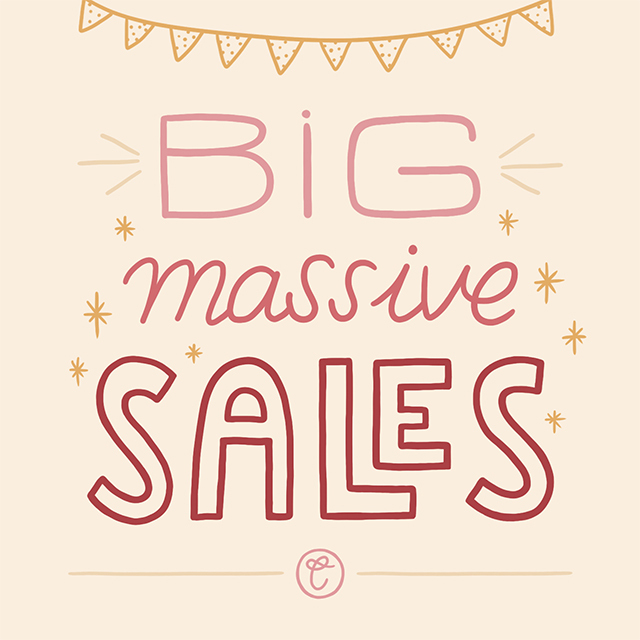 With Christmas exactly 3 months away, I thought it would be a good time to run some massive sales in my Etsy shop so that you can all stock up on some cards and posters way in advance! I mean, you get 50% off on all my latest collection, AND, my previous collection (or what is left of it) is back too for super cheap! Whoop Whoop! And at 0,95€ the card, if it's not a bargain then I don't know what is. Yes you've guessed it, I'm getting rid of aaaaall my stock so I can start fresh whenever I'm ready. So the sales are basically going to be on until my stocks are all gone. Check out the shop RIGHT HERE and feel free to share the news with everyone around you! Time to be a Mrs!